Honestly, this was better then I expected it to be. It looked like a run of the mill comedy with a great African American ensemble cast. I don't point that out because I am white, but because it is one of the strengths of the film. Not just the cast, but the environment in which this is set. If it were not for the environment, this movie would not exist. Taking place in what is 'the hood' somewhere in the southern region it seems is the story of a young man who gets lucky, wins big and learns a whole bunch of lessons in the three days before he can actually claim the cash that help him make the right decisions when he actually does get the money. 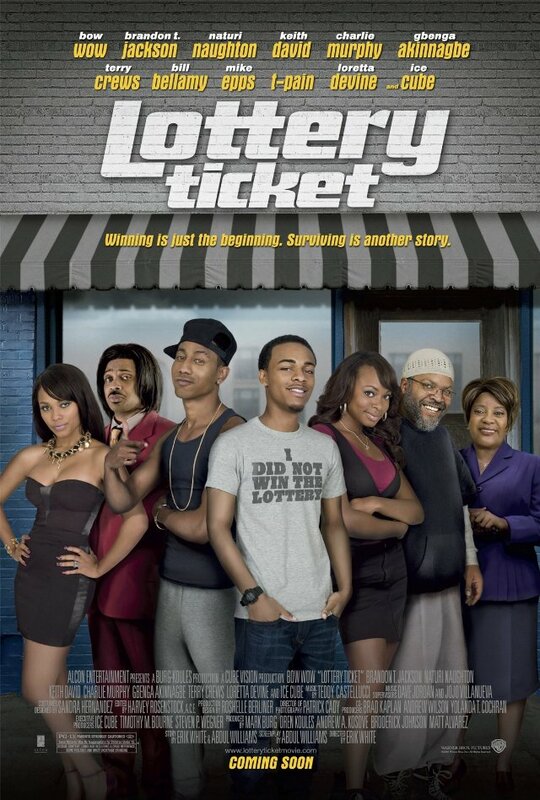 Bow Wow is good here, considering i haven't seen him much since 'Roll Bounce', which I enjoyed thoroughly, he has grown as an actor and as a presence. Here, he is easily likeable and gives us a character that we can easily root for, someone we wouldn't mind seeing win the lottery. if it can't be me, I'm glad its him. His best friend, as in 'Roll Bounce', is again played by Brandon T. Jackson who is one of the most promising young actors in Hollywood today. Not only is he hilarious in nearly every scene, but when his role calls for its dramatic moments, he truly makes you feel them. The rest of the cast is filled out in what are almost cameos-Loretta Devine is hilarious as Bow Wows grandmother, Mike Epps is a scene stealer as the local preacher and Terry Crews, Charlie Murphy and Ice Cube all are in fine form here. On a side note it was nice to see Jason Weaver getting some work. As for the story, it is predictable but fun and even though we know the lesson our main character will learn and overcome the film has a great pace and flow to it. It never lingers too long or flies by at a speed we aren't able to absorb whats going on. It is honestly the best thing the film has going for it, props to the editor. Though I still don't see the reason for Keith Davids character except to support the montage of Bow Wow and his friends actually spending some money, I guess that was necessary, but hoped they could have pulled this off in a less cliche manner. As said earlier though, this rose above my moderate expectations and while it never becomes something more than an average comedy, it is easily seen as a movie that anyone could enjoy. Everyone's a winner with this one...except for this review which just received the cheesiest final sentence ever.